As a teenager you are forced to deal with a vast array of stress inducing factors that can tend to make you want to pull your hair out. Add pressure from your parents into the mix and you may end up just wanting to run away all together! Take a look at our top tips for better dealing with pressure from your parents. Your parents do in fact want what is best for you. However, they sometimes want this so badly that they place added strain on your already stressful, busy day without intending to. If they could, your parents would go and write your exams for you, but they cannot and this results in them hovering over you and trying to organize your study schedule, exam practice lessons and so forth. Much as this may drive you insane, take a minute and realize that they mean well. Make the effort to organize a sit down with them and explain your side of things. Have an open discussion about your stress and how they are impacting on it. They may just surprise you with their understanding. It may seem unfathomable to add more “work” to your current schedule, but trust us this is worth your time. If you are struggling with a certain subject at school or personal issue look it up. The internet is filled with helpful hints and tips and you will find some valuable advice from other teenagers who have been where you are now. Use this information to add to your discussion with your parents. We all want to “flip our lid” from time to time, but this simply does not go down well with the parental units. When we act irrationally and out of anger or fear, we unfortunately come across as childish and petty, and this does not bring positive results. 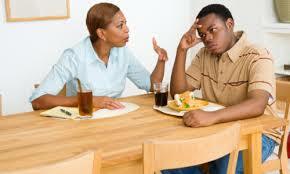 If you are able to talk in a calm and mature manner with your parents, they will take you seriously. Take the time to think about how you portray yourself. Remember that your argument is your parents adding extra stress to your life, and not the myriad of other social issues and anxieties that you are also going through. Keep on track when you are sharing your feelings and your point will not only be made, but taken seriously. Much as you feel you “know it all” and know exactly what you need, the fact is your parents have been playing this game of life longer than you have. They do know a few things and if you are willing to compromise and find a middle ground, you will afford yourself a greater chance of getting what you want, or at least pretty close to it. As a teenager you are still learning about yourself and how to cope while moving through life. Surprise! So are your parents. Their journey is just a bit further along than yours. Just like there is no handbook for being a teenager, there is no handbook for being the perfect parent. Cut them some slack and remember that they are human too and can be compromised with.